The game I love is being slowly and systematically destroyed in India and I need the key destroyers — the BCCI, in my view — to answer one simple question: Whose resource is it anyway? Events in the last few weeks, in particular, have only highlighted the rot that set in many years ago. Now, dark clouds of extreme doubt and utter cynicism hang over everything to do with cricket and the BCCI. If this sounds like doomsday, it probably is. Siddhartha Vaidyanathan (sidvee) writes about it. Harsha Bhogle writes about it. Prem Panicker writes about it. Players have been trapped for spot fixing IPL matches. A Bollywood actor is being questioned. Several bookies have been arrested. An IPL team CEO is also being questioned for apparent questionable links. The ICC has pulled out one of its elite umpires from standing in the Champions Trophy. We do not know why, but in this climate of extreme cynicism, we have to assume the very worst; that the net has dragged in even a former ICC ‘Umpire of the Year’. The IPL looks utterly fixed at the moment, although another expletive starting with the letter F and ending with the letter D would seem rather appropriate too. Let me declare my cards: I do not like the IPL now. In fact, I detest almost everything it stands for. I watched the IPL with much interest in its first season, and I loved it. I was a fan of this novel format because it was franchise cricket that brought together the best players from the world for a cricket carnival that lasted a few weeks. It propelled hitherto unknown players onto an international stage. It gave an opportunity for young Indian players to rub shoulders with some of the greats of the game. And it provided financial security to a very large set of players. This was exactly what Indian cricket needed, I thought. I even devoted some of my own research time to develop a better algorithm for scheduling the IPL (a publication on this is currently under review). Moreover, much like Suhrith Parthasarathy, I wasn’t about to dismiss what seemed like an exciting concept without giving it a fair go. I genuinely believed that we would see new technical expertise being developed as a result of this craze. And there are people who will say that the IPL in particular — and the T20 format, in general — has indeed contributed to cricket in a technical sense. I was drawn immediately to the novelty of the IPL concept: a heady cocktail of entertainment and cricket that showcased Indian talent on the world stage in a genuinely exciting manner. I also enjoyed the stroke making as much as I did, the routine public floggings that bowlers received. Then, as with many things in life, the novelty wore off. Unlike many things in life though, what I noticed was that apart from greed, there was a distinct lack of permanence or a cogent narrative to the IPL that I could see. After every ugly season, I only remembered the stench. I realized that the IPL was nothing but an instrument that fueled the insane greed of a few people; such an instrument only has hands and eyes on the cash-till. It operated in a totalitarian regime which ensured that people were either in or marginalized as they fed what appeared to be an insatiable greed. Everything else, other than the cash-till was made insignificant. Goose. Golden Egg. Rinse. Repeat. Such a greed machine always gets things very very wrong. I have nothing against commerce. But when commercial greed takes utter precedence over values and permanence that a sport ought to strive for, then everyone loses: the game, the administrators, the players and the fans. In the IPL, over time, cricket became almost secondary. In a relentless pursuit of TRPs, the TV station which had paid the BCCI a lot of money for rights to broadcast IPL games had no choice but to adapt to stay afloat. Cricket took a back seat. We got an extremely noisy television studio where the more loud one got, the better it was. We had dancing girls in the studio. Soon, short skirts, noodle straps and Bollywood glitterati were thrust into our faces at every opportunity. The after-match parties were talked about, advertised and sold. All of these defined the show more than the cricket on view. Unsurprisingly, everything started to go pear shaped. With each passing episode, a lecherous greed seemed to grip the IPL. More games, more teams, more timeouts, more advertisement revenues, more players, more parties, more betting, more muscle flexing, more dancing girls, more sponsors on every inch of space, more money being siphoned off, more greed, more conflicts of interest, more being shoved under the carpet, more carpets being procured, more band-aids to cover up gaping holes. More, more, more, more, more, more, more of everything except cricket. I have no problems with glitterati, dancing girls, noodle straps and parties. I hate that all of that, wrapped up in a ‘more, more, more’ culture has taken precedence over cricket. And in a culture that focuses on the cash-till and one in which more is actually less, are we surprised that a few players were led astray by exhibiting the seemingly ceaseless greed of their masters? Some people I talk to say I have a choice. They say I can switch off from cricket for the two-month period that the IPL is on and read books or watch old DVDs of movies I need to watch. To those that say “If you do not like it, do not watch it,” I say ‘I just can not do that’ because the IPL uses resources that belong to me. And to you. And you. And you too. I would switch off if it was the now-defunct Indian Cricket League (ICL). The ICL used its own resources: grounds, players, coaches, administrative machinery. Not the IPL. As a fan of Indian cricket, I have a vested interest in the IPL because it uses resources that ‘belong to me’. The BCCI is entrusted with the task of managing these resources through a license to operate, provided to it by the ICC. The resources are the grounds, the nurseries, the administrators, the practice pitches, the groundsmen, the district competitions, the representative leagues, the Ranji Trophy, the Irani Trophy, the umpires and the players that have all been bred by the game you and I so love. Until then, I need to know the answer to this simple question: Whose resource is it anyway? If it is mine, then I have a say. Please hear it: Clean up the darned beast. And now. India lost 0-4 to England in England 2011 through poor preparation, a wrong team, a sudden and indescribable inability to play the seaming ball, injuries and overall fatigue. Oh! And the opposition played brilliantly too. India then went on to lose 0-4 to Australia in Australia. Injuries and fatigue could not be blamed for that loss. India had prepared reasonably well too. One or two players had warmed the bench right through the tour — somewhat surprisingly and with some inflexible obstinacy on the part of team management. But overall, the touring party was perhaps the best that India could have fielded. Yet India had lost. Badly. The captain, Dhoni was blamed for his wrong selections. Dhoni was also blamed for his ultra-defensive field placings. ‘Rift’ remained a recurring refrain. Aging seniors in the team were blamed. Two of these seniors subsequently retired. The team spoke in many tongues on that disastrous tour of Australia. In one of the one-day games, Dhoni achieved a victory with a few balls to spare and with many hearts in mouths. In the press conference after the game, Gautam Gambhir, who had scored 92 in that game, said that the game ought to have been closed off in the 48th over itself. On another occasion, Dhoni responded to a team selection issue and indicated that some of the seniors were too slow and cost the team 20 runs on the field. Sehwag responded to that statement with surprise. All was not well with the team. Or so it appeared. Mohinder Amarnath, the then chairman of selection committee, wanted Dhoni removed as captain. The BCCI President, N. Srinivasan, vetoed that decision. Much band-aid was needed, and applied. Much sand-papering was needed, and performed. Much shoving-under-carpet was required, and accomplished. India looked to rebuilding a tired, aging and weary team that appeared unready for transition. Just as everything else, we do not plan a transition. It just happens. We are like that only. Some felt that the transition process had already been delayed. Yet, India had the perfect opportunity to rebuild at home over a one year period. And India did that through a mix of worthy retirements and good luck through injuries and bad form. Slowly, but surprisingly effectively, under the watchful eyes of a new selection committee headed by Sandeep Patil, the team transitioned. Ishant Sharma had sledged David Warner in the Perth Test of the Australia series: “Come to India, we will show you,” he had said. Gautam Gambhir, the then team India opening batsman, issued a similar challenge to the Australians and added that India had to prepare “rank turners” for visiting teams. Gambhir and Ishant Sharma betrayed a defensive mindset. They also provided much fodder for the Indian press corps that visited Australia with the India team. The press was more interested in blood, blame and bludgeoning than they were in understanding what exactly was going on with and within the team. Gambhir was right in asking for “rank turners” to be prepared. I am not sure why there is much disdain for “dust bowls” and “rank turners”. I haven’t heard too many people say, “Disgraceful pitch. Look at that bounce and lateral movement on day-one itself,” but have heard many a person say “What a disgrace! Turn and bounce on day-one itself?” Spinners are as much a part of cricket as pace bowlers are. The game, particularly in Australia, needs to embrace spin as much as it does, pace. Words like “dust bowl” and “pitch doctoring” have been used as pejoratives for far too long in our game. There is nothing wrong with a turning track. And so, a few turning tracks were prepared to welcome the Australian team. The visiting Australians did not have the skill or the capabilities to cope with the turning ball. Suddenly, the shoe was on the other foot. 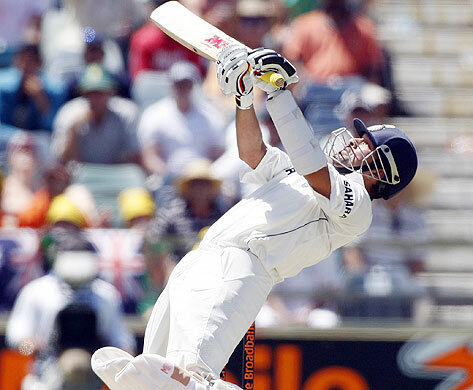 The captain, Clarke, was blamed for his wrong team selections. He was also blamed for his somewhat strange captaincy decisions. ‘Rift’ remained a recurring refrain. Immature juniors in the team were blamed. The point is that just as India needs to prepare more seaming tracks for the domestic Ranji Trophy competition, Australia has to prepare spinning “dust bowls” for some of their domestic games. Dust is not hard to find. And a bowl ought to be available in Australia. Several of the leading talents in the Australian team were badly exposed after coping very poorly with spin, and this showed in Australia’s poor returns from the series. 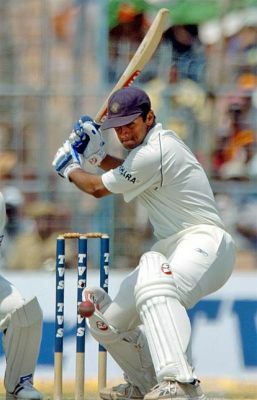 When India toured England and Australia, there was a sense that there were a few players who had been left behind who ought to have made the team. There were certainly a few players who warmed the bench during those two tours who, perhaps, ought to have got a game. Injury and fatigue plagued at least one of those tours. The real worry for Australia is that the team that they brought over to India was probably their best team. It is likely, therefore, that the rebuilding process will take just that little bit longer for the Australian team. A stern test awaits this Indian team now. However, the 4-0 win over Australia was no ordinary feat. And it was delivered by captain M. S. Dhoni leading from the front in the first Test of the series. In his forceful wake came telling contributions from M. Vijay (16 Tests), Ravichandran Ashwin (16 Tests), Cheteshwar Pujara (13 Tests), Shikar Dhawan (1 Test), Ravindra Jadeja (5 Tests), Bhuvaneshwar Kumar (4 Tests), Virat Kohli (18 Tests) and Pragyan Ojha (22 Tests) and Ishant Sharma (51 Tests). This was a significant series win achieved by the above nine players with a total experience total of 146 Tests between them; one in which a particular player with an experience of 198 Tests hadn’t really contributed much. Barring the introduction of Ajinkya Rahane, most of India’s selection decisions were good and more importantly, paid off. Will Rahane get the benefit of doubt? Subash Jayaraman thinks he should not. That apart, the right players were picked at the right time. And the right players were dropped at the right time. It would appear that this team now responds to the captain much more than the team which represented the worrying transition between 0-8 and 4-0.